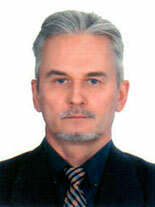 Civil Defence Chief of National Transport University is Mykola Fedorovych Dmytrychenko, the University Rector. First Deputy Chief of Civil Defence is Mykola Oleksiyovych Biliakovych, the head of the Emergency Committee, National Transport University, First Vice-Rector. Chief of the Civil Defence Staff is Petro Petrovych Podhornyi, Civil Defence Deputy Chief of National Transport University. Civil Defence Deputy Chief for Evacuation is Mykola Mykolayovych Dmytriev, the head of the Evacuation Committee, First Vice-Rector, Vice-Rector for Scientific Work. Civil Defence Deputy Chief for Technical and Financial Support is Oleksandr Ivanovych Bulakh, Vice-Rector for Social and Economic Development. Address: Office 244, 1, M. Omelianovycha-Pavlenka Str, Kyiv 01010, Ukraine.